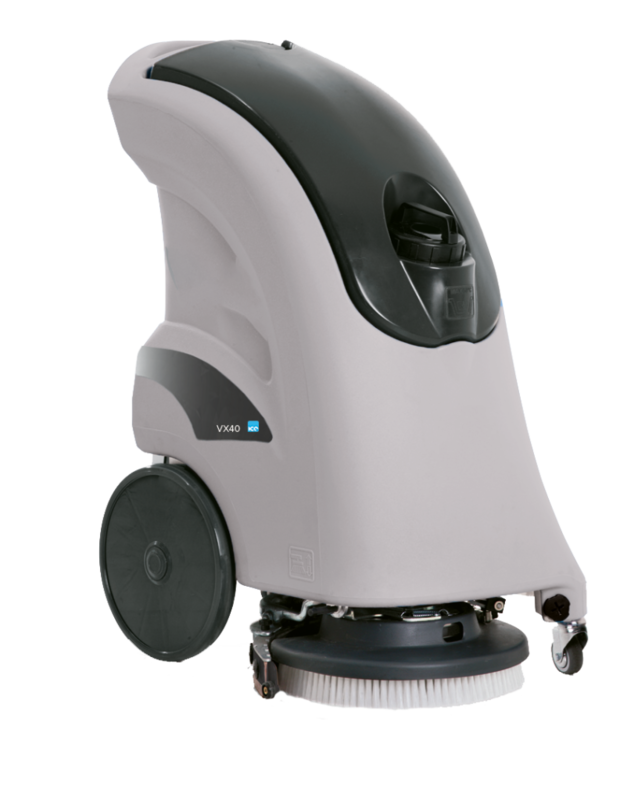 The VX40 has excellent manoeuvrability, and its large wheels make it easy to move around obstacles. The VX40 has excellent manoeuvrability, and its large wheels make it easy to move around obstacles. It can effortlessly clean along walls and around corners in one pass, and is 10% more productive than traditional scrubbing machines. Comes complete with built in battery charger and brush/pad holder.